The competition is really heating up on Season 16 of DANCING WITH THE STARS as we are heading into the semi-finals next week. Last night the remaining six couples battled it out and danced two dances. After last night’s performances at the top of the leaderboard is Zendaya and professional dancer Val Chmerkovskiy and at the bottom of the leaderboard is Sean Lowe and professional dancer Peta Murgatroyd. Did you watch last night’s show? We did and we recapped it here for you. On last night’s show the six remaining couples took to the dance floor and for the first time this season, each couple performed two routines in an effort to impress the judges and America. In the first round, the couples performed a traditional ballroom dance in a style that they’ve not yet done. In the second round, the couples danced as part of a trio, featuring an eliminated pro or troupe member. Logic dictates that one of the couples with the lowest scores – Sean Lowe and professional dancer Peta Murgatroyd – will be leaving the competition. No matter what the judges says, at the end of the day, the competition comes down to your vote at home. Who should leave? Vote in our trusty poll and let us know in the comments below which couple you think should be going home tonight. 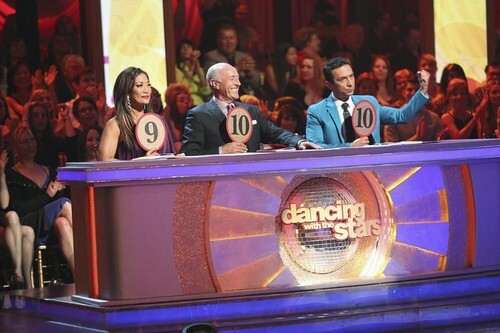 Who Got Voted Off Dancing With The Stars 2013 Tonight 4/30/13?